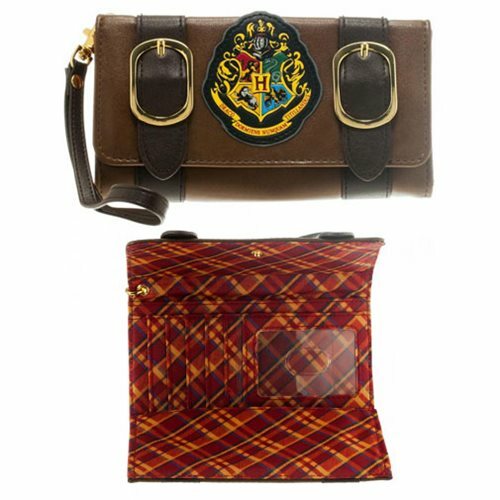 If you're an aspiring student of Hogwarts or budding wizard, make sure you pick up this Harry Potter Satchel Fold Wallet. Prominently displaying the Hogwarts school crest, you can use and appreciate this wallet, no matter what house is your favorite. Inside the wallet has a tartan pattern with plenty of credit and Id card holders, as well as a full-size cash compartment. Measures approximately 7-Inches. Ages 14 and up.